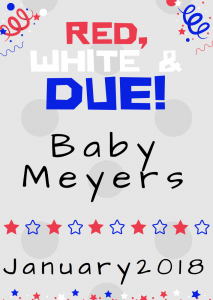 July Pregnancy Announcement Ideas: Red, White and Due! 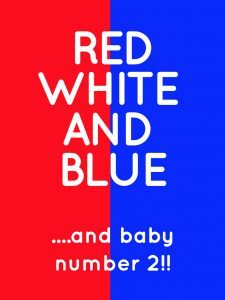 Celebrate the 4th with Red, White and Due! 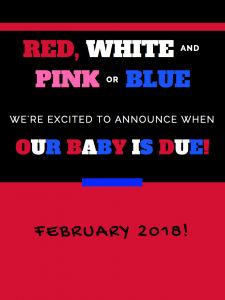 When it comes to announcing your pregnancy, there’s nothing more exciting than sharing the important news with your friends and family. And there’s nothing more exciting than catching friends and family off guard during a holiday celebration with your special announcement. 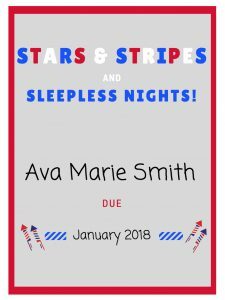 If you’re looking to incorporate a pregnancy announcement into your Fourth of July plans, we’ve got you covered with printable signs you can print and customize, cut out, decorate or share on social media to make your big announcement! 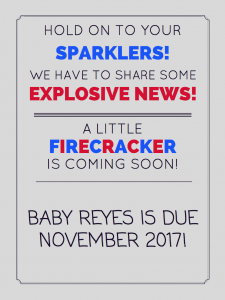 If you’re looking for something even more over the top for a pregnancy announcement that will go off with a bang, here are some ideas to get your creative juices flowing. 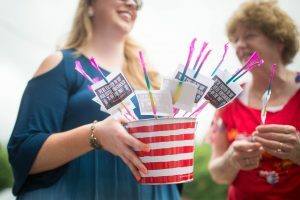 Since fireworks are a given for July, include a creative note on sparklers that you hand out to friends and family. 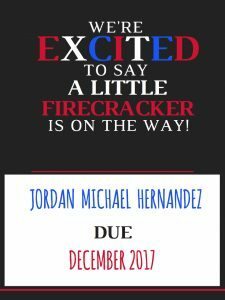 Or include poppers, confetti bombs or smoke sparkers to have a dramatic gender reveal. Grab some sparkers and a camera and enjoy writing out your message in a slow motion image, (this may require a bit of photo editing or a professional photographer if you aren’t familiar with the process). Dress up in your red, white blue with a custom shirt to announce your big news. Regardless of which announcement route you choose, enjoy celebrating your big news and have a happy and safe 4th of July! 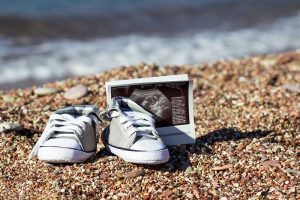 If you’re looking for a creative pregnancy announcement idea for the summertime that doesn’t center around a holiday, below you will find a few ideas on how to announce the happy event in a creative way during the hot summer months. A picnic in nature is a wonderful idea on hot summer days. Why not take advantage of the outing to tell your loved ones about your pregnancy? Sit on the blanket together with your partner and the children (if you already have some) and place baby items, such as onesies, little shoes and plush toys, next to baby-sized finger food. You and your significant other can also hold baby books in your hands. Then press the self-timer on your camera – and voilà! You have a memorable photo that’s ready for sharing. Order balloons in letter form (for example, from Amazon) that spell the word B A B Y. In a nice outdoor spot, such as your garden or a park, hold up the balloons together with your partner and take a snapshot. The photo will speak for itself, and your friends and family will immediately understand the happy news. Especially when you’re on vacation, there are many fun ways to incorporate the beach into your pregnancy announcement. For instance, you could take a picture of yourself and your partner holding your ultrasound image and then send it to friends and family. If you want to get even more creative, simply place a pair of baby shoes on a surfboard with a sign that says “Baby on Board” for the perfect snapshot. 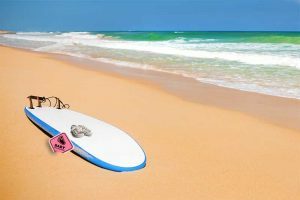 Another option is to stick two pairs of flip-flops (yours and your partner’s) in the sand and to place an additional tiny pair with a sign that says “Baby arriving on (date)” next to the adult shoes. Do you like to go fishing? Then why not announce your pregnancy in this creative way: Take a photo of yourself and your partner dressed in fishing gear in front of a lake, with a sign that reads “We’re expecting our biggest fish on (date)” or “Future angler arriving on (date)” placed next to you. If you enjoy being in the water, you can also use the swimming pool to announce your happy news. Simply stand in the water and hold a beach ball on which you’ve written “Little one on the way” in front of your stomach.